what a great group of ladies. it was so much fun. i want to go back. I was over at TCC and did not get to make it to Junk Bonanza! Hate that I missed you! So happy to have finally of gotten the privilege of meeting you Beth, and I'm thrilled you had a great show as well as having a fun time. I saw you walk through the Handmade Market at TCC and I wanted to grab you and say 'HI' but I was in my booth and I waited too long. Glad you had a great time in MN. I didn't make it of to the Junk Bonanza but I heard it was grand! 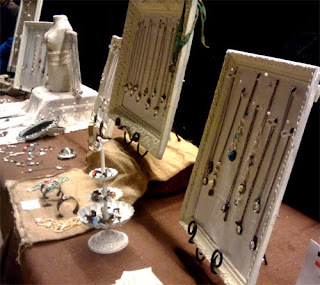 Beth I'm sure your booth was amazing- it looks like it was a wonderful bonanza! You know how I felt about YOUR booth. Seriously I was doing good and then BAM...total budget buster:) Love all my goodies. And best of all was getting the chance to meet you. So fun!